Uniform intensity line generators for Machine Vision. 660 nm and other wavelengths. The PNF laser was designed expressly for 3D Machine vision applications including 3D profiling or mapping, dimensional scanning, high-speed rail or road inspection, web inspection and florescence. The uniform intensity line produced by the PNF directly supports these applications. PNF Lasers can deliver from 0.1 mW to 200 mW of output power from 405 nm to 2330 nm. Additional features include high beam pointing stability over temperature, high optical power stability, and CW or Optional digital/analog modulation up to 500 kHz. 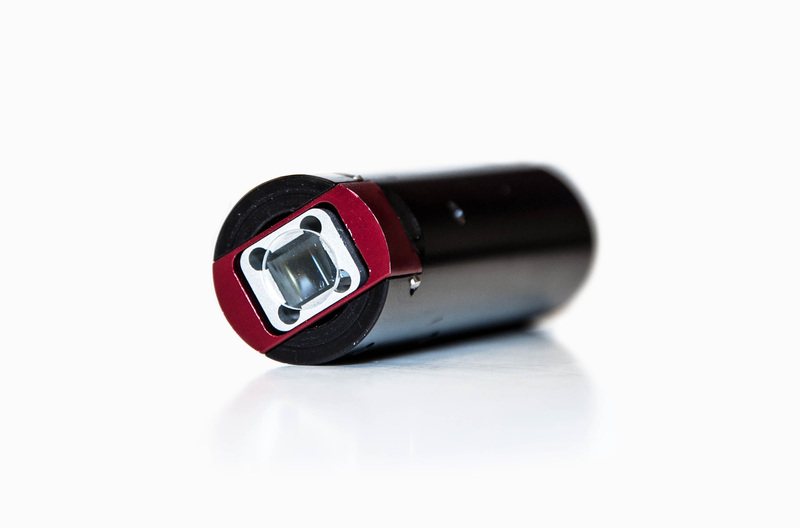 The PNF Series of machine vision lasers can be configured for optimal performance at close or long range.The unique Variable Focus (TM) Technology allows the user to calibrate the focus of the module and then re-tune the line generator for optimal performance. In addition, we offer an array of custom design and manufacturing services. These include high and low volume production, custom engineering, customized connectors and beam profiling. Higher output powers are available. Consult us for more details.